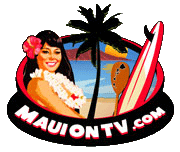 Every year, in an effort to help Maui coffee growers and promote smart farming practices The Maui Coffee Association will assist member farmers in their efforts to become better stewards of the land. We subsidize soil sampling lab tests with the help of our Office of Economic Development grant. Soil sampling helps identify nutrients that need to be added into the soil and helps correct fertilization protocols. For coffee, you will need to sample the soil fairly deep. Choose an area in the center of your chosen growing area. Scrape the leaves and sticks away to reveal the soil. Dig down about eight inches and place a sample at that depth in a bucket. Dig further down (since coffee has deep tap roots) and take another sample 18" - 24" down. Mix these two samples together. Do this in several other sites within this growing area. Take your samples in a zig zag pattern throughout your growing area. Mix all of these samples together. That is your aggregate sample which you will send in. Do not mix samples from a different growing area. Keep them separate. Place 1 to 2 cups of your sample in a ZipLoc type of plastic bag with a label that identifies the site. Example: "Lower field, east side.Feb.2015." Label the outside of the bag and place a piece of paper with the same information inside the bag too. If the soil is wet, place it on newspaper and leave it in the sun to dry before placing it in the bag. Do not dry it in the oven! For MCA members certain coffee related travel expenses can be reimbursed. Contact an Association board member to make sure you expense is eligible. 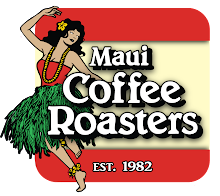 Every year the Maui Coffee Association presents educational workshops to help improve the quality and quantity of 100% Maui Coffee. Miguel Meza and possibly Lee Paterson will do a Coffee Quality Workshop to help coffee farmers grow and process the best coffee possible. 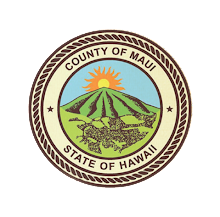 In addition, they will also help farmers prepare entries for the upcoming Hawaii Coffee Auction in 2019. Miguel has a wealth of coffee knowledge and has helped many Hawaiian Coffee farmers improve their coffee. ***NOTE*** If you have any parchment coffee, please bring with you so Miguel can work with you directly on your coffee. Watch the calendar of events for updates and schedule.